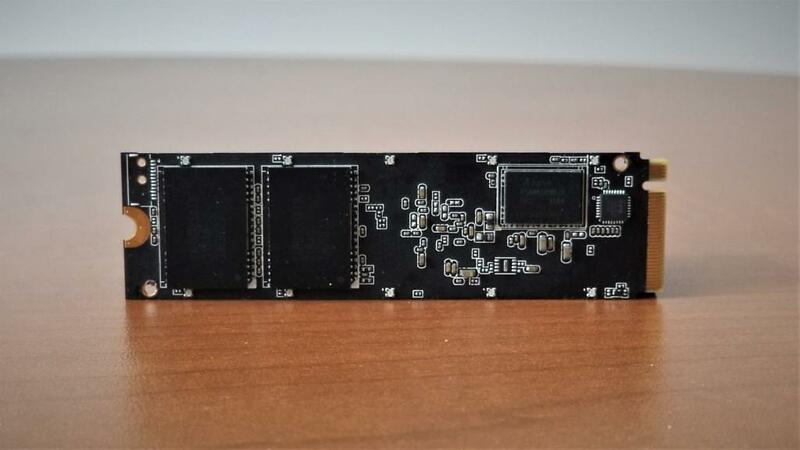 It is always great to be approached by new companies at tech events, and such was the case with Asura at CES a few weeks back, a company still in stealth mode yet hoping that we might take a preliminary look at their newest Genesis Xtreme NVMe SSD. We did a quick release at the time and, well we were impressed with the numbers we were seeing, as well as the overall build of the SSD, and today we thought we might follow-up with that and publish a bit more of a detailed report. 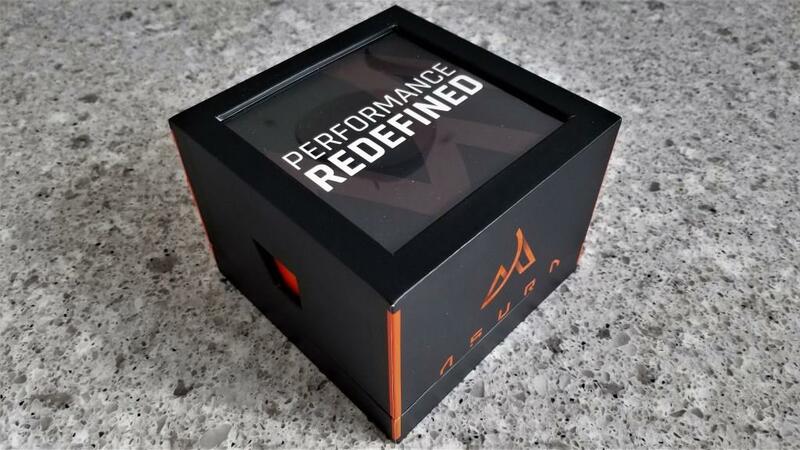 Our Asura Genesis Xtreme was packaged in a rather attractive cube shaped presentation box. Although we don’t see this being very practical for consumer sales, one never knows. Inside was the Asura Genesis Xtreme, an SSD with a very attractive exterior black and white heatsink, a few sheets of very well laid out marketing literature, and hidden away in the case were three USB 3.1 adapter cables, one being Type-C, another being microUSB and the third being an Apple Lightning adapter. 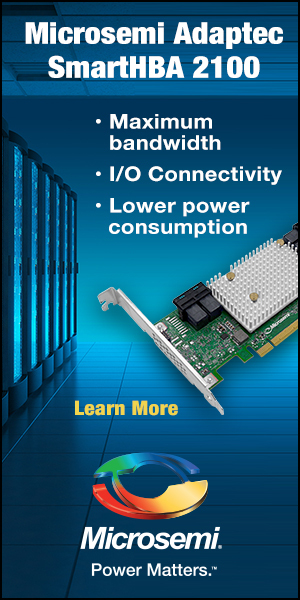 The Asura Genesis Xtreme is a PCIe 3.0×4 M.2 SSD which uses the NVMe 1.3 protocol. Specifications list is as being capable of 3.5GB/s read and 3GB/s write with a 1655TB total bandwidth life expectancy. 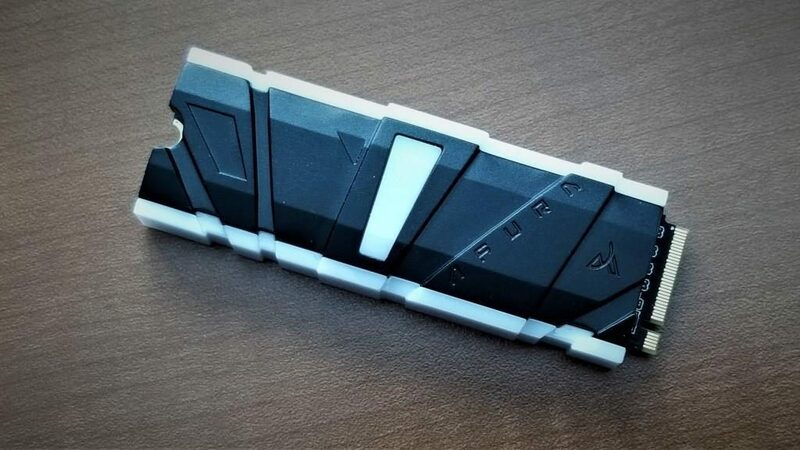 The exterior casing is listed as being a modular dual heatsink & LED diffuser design and the SSD is apparently Gigabyte Fusion ready. The SSD itself was protected by a four piece plastic heatsink with metal plates to dissipate heat on both sides. It was held together by a combination of screws, clips and thermal tape holding the SSD to the metal plate of the heatsink. It was evident that this SSD also had active LEDs once plugged in and was a task to disassemble. 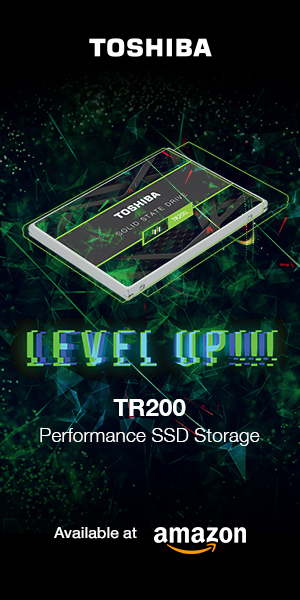 As we took a closer look at the SSD, it appeared to be very familiar as it had exactly the same components as the Corsair Force Series MP510 1TB NVMe SSD we reviewed back in 2018; controller, memory and DRAM cache being exact right to the product numbers. 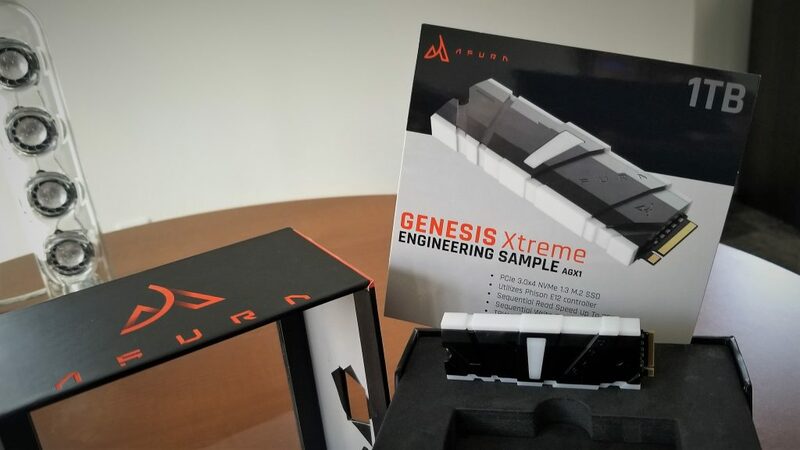 The Asura Genesis Xtreme contains the latest Phison PS5012-E12 NVMe eight channel controller, four pieces of Toshiba 3D BiCS3 64-layer TLC NAND flash memory, and a SKHynix 1GB DDR4 DRAM cache chip. 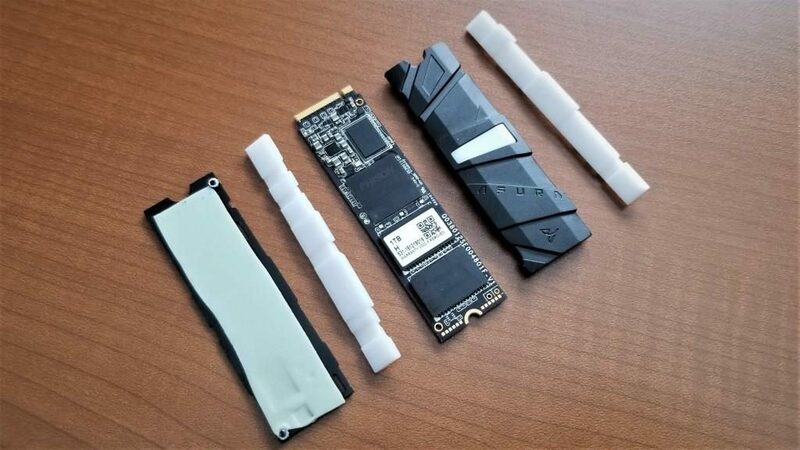 When formatted, this SSD provides a total of 954GB of storage space to the consumer, considerably more than the Corsair MP510 which only provided 894GB. As shown, this SSD is a dual sided SSD with two memory chips on each side.